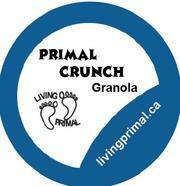 This grain-free, gluten-free product is our healthy alternative to traditional breakfast cereal. Add a dollop of plain Greek yogurt and a handful of berries, and this high fat meal will keep you going all morning long. But anyone who has tried this tasty treat knows that it also makes for a great snack when you’re on the go. Minimum order quantity is 4 bags.